Now, before you quickly dismiss throwing a little tea party as an activity restricted to the very young, stash your assumptions and keep an open mind. Imagine, sitting in your living room or on a balcony in style, sipping fine brews among the company of great friends. Sounds like the perfect complement to any property here for rent in San Pedro, CA, no? Precisely. Which is why it might not be such a bad idea to get in the swing of it this spring and host a tea party of your own. Even if you don’t know much of anything about throwing a fancy get together with a focus on tea, you’ve got little to nothing to fear. 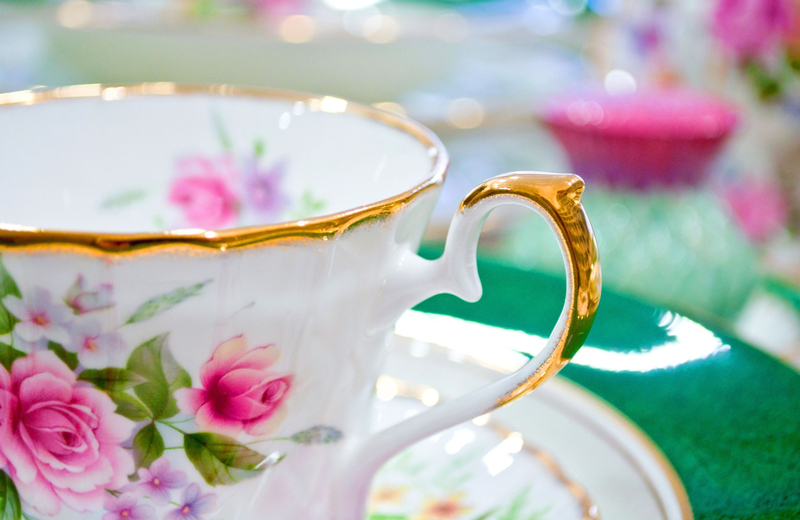 Today, we’re going to run through the basics on setting up your place for a fine soiree, gathering the right kinds of tea, and some helpful tips to ensure you pull things off right and all your guests have a great time. You might have already imagined, but you can use your Afternoon Tea Party as a celebration -- for a baby shower, birthday, retirement party, etc. -- or simply just to connect with close friends. As might have also guessed, you’ll need to invite them to this shindig in order to get things started. While you can certainly play it cheap and give your prospective guests a phone call/shoot a text, you’ll make a lot more headway with making your tea time “legit” if you go all-in on making an effort. Formal, printed invitations are the way to go, and you’ve got a wide berth on how you want to do them. Don’t know how to make a formal invite? Check out The Balance’s guide on Writing Formal Invitation Letters to get the ins-and-outs on what to do. When it comes to designing them proper, you can take a stab at it yourself, or hire a graphic designer to put in the legwork (or, call in a favor from a designer friend, if you have one). Next, you’ll need to get those invitations printed, which you can do with just about any local print shop. Once you’ve got everything printed up, send them off and proceed to the next tea time step. A Tea Pot & Cups -- Part and parcel of the tea time experience will be a pot and some cups, but not just any. You’ll want to snag some fun, decorative, ceramic tea cups with a matching pot to bring everything together. Don’t skimp on this crucial part of the setup. Tea -- Also essential to the tea party will be tea to drink. You can go loose leaf, in bag, or however else you might like, just make sure you have some on hand. You’ll have plenty of leeway with what varieties you’d like to include as well, from old-school black teas like Prince Of Wales and Lady Grey to various green teas, mint teas, and the like. Plates & Bowls -- It’s not a tea party without fancy plates and bowls and plates to go along with those tea cups and to hold your food. Get them in colors and designs to match your overall decor, and don’t forget a clean, white tablecloth to boot. Cutlery & Napkins -- How else will you cut the food, place it in your mouth, and clean up after yourself? Certainly, you could include nothing but finger food, but where’s the fun in that? A tea party requires variety to reach its zenith. Food -- The tea is meant to accompany some fine eats, so present your guests with a stunning spread of pastries and other sweets, along with sandwiches and other tasty treats that will go well with the tea varieties you’ve selected for the party. Scones in particular are a tea time favorite, so, if you’ve got some skill with baking, prepare a plate, and if not, head to your most trusted bakery to make sure the job is done right. With your prep out of the way, your place set, and your guests invited, be sure you also have all the proper techniques ready for brewing the perfect cup of tea. Strategies vary, but Jamie Oliver has a nice feature on How To Make The Perfect Cup Of Tea that you should most assuredly give a read. Generally speaking, you’ll want to keep an eye on factors like your water temperature and the amount of time you let your tea steep to ensure you get that mastercrafted cup, and serve in your appropriately fancy tea cups to provide for proper presentation. Got all that? It’s a lot to keep in mind, but all are necessary steps to hosting that picture perfect afternoon tea party and making a great impression on your guest. Be sure to refer back here if you forget any steps, and good luck with your brewing. We’re referring, of course, to The Vue. Few other spots around the city can match the splendor, the spaciousness, or the amazing “views” on offer here. With the advantage of being in a neighborhood that puts you near all the essentials, you’ll be able to grab everything you need for that tea party in short order. Be sure to check it out and make it your pick for upscale rental living today.